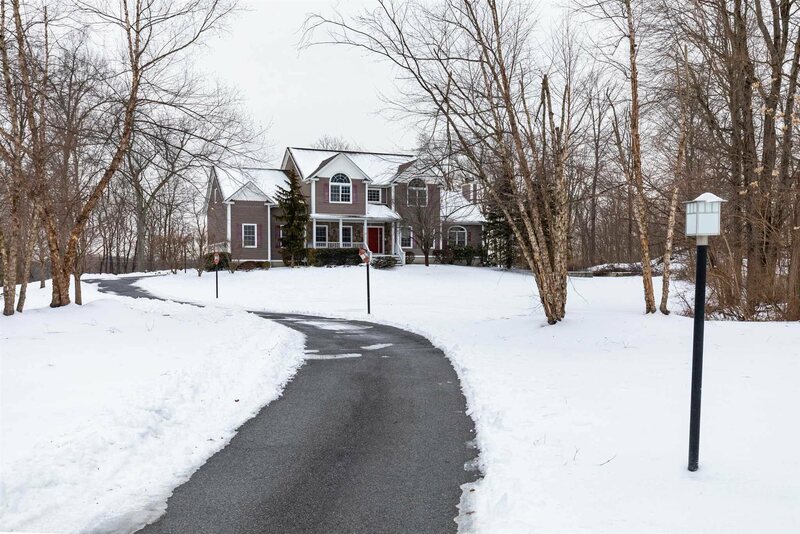 Come see this stunning Colonial home set back down the long drive through the beautifully manicured and landscaped property of nearly two acres. Once inside you&apos;ll want to cozy up in front of the ceiling to floor stone fireplace. Boasting cathedral ceilings, main floor hardwood floors, and a spacious kitchen it is the perfect famliy gathering place . Marvelous for the holidays and entertaining and just off the kitchen is the separate formal dining area. Spacious and grand this home is complemented by a home office, a beautifully finished basement for gaming or sporting event viewing on a large screen tv, and a wonderful deck just off the kitchen for grilling and entertaining outdoors in the warm weather months. With plenty of privacy - this home is a dream to escape from it all in your own serene oasis.